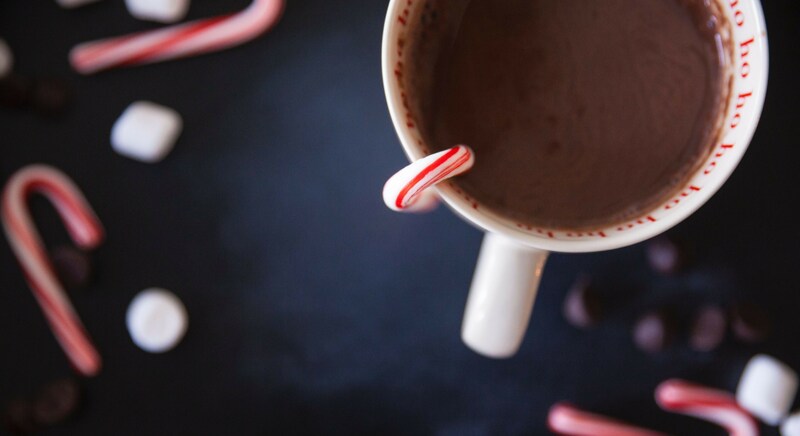 I’m sitting back with my laptop and a warm cup of cocoa, I’m putting my feet up, and I’m firing up start.me to create a perfect vacation planning framework. When I’m done, I’ll share my planning page with my favorite travel companions, incorporate their thoughts and ideas, and we’re off! The first thing to do: decide where to go. 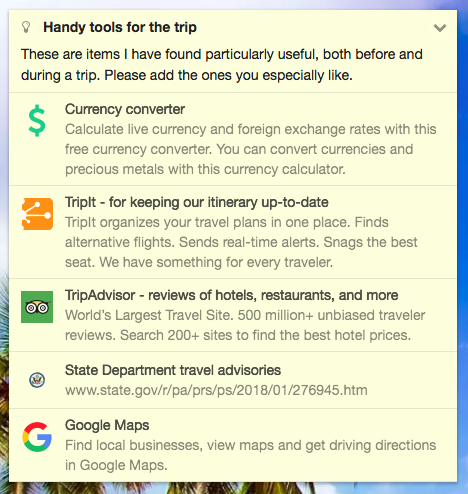 I’m going to start building my page with a combination of a notes widget to invite my travel companions to participate in the trip planning and two bookmarks blocks, one for each country we are all interested in traveling to. I’ve already selected the best links to describe each destination so my travel buddies won’t have to do much research – they’ll like that a lot. How to decide where to go on vacation? First, do some research! I also want everyone to have the chance to add their favorite airlines, hotels, and other travel preferences to our collective thinking. This is especially important if someone has frequent-flyer miles they want to use. So I will add one more explanatory notes widgets and two more bookmarks blocks, both with a few suggestions. Collect preferences like favorite airlines or hotels. Next task is to add the Todo list widget to the page, so none of us will forget anything. But one of them is never enough for us super-organized types, so I am also going to add two more Todo list widgets, one to be renamed “Packing list” and the other, “The day before we leave.” The really good thing about these widgets is how easy they are to use – you can add items right on the page without opening the widgets themselves. And having everyone contribute their ideas to each list as we go along will help all of us. Finally, at the bottom, I’ll put in an all-purpose bookmarks block containing handy tools for use both before and during the trip. The great thing about start.me is the amount of personalization that can be done. Want a world clock? There’s a widget for that. Want to know what the weather is going to be where you’re going? There’s a widget for that, too; in fact, there are several widgets, each with different features. Dress up the whole page with an image gallery of travel photographs. Put in a link to Office Live so you and your travel companions can use Excel to keep track of all of your trip costs. Play around with the page format to make it as attractive as possible. There’s no end to this. Well, the winter storm is quickly approaching, and I’ve finished my cocoa, even with the extra marshmallows. Now it’s time to share my page with all who will be going on this trip. What a fun way to start our adventure! Your next vacation might just be around the corner! If you want to see the complete page Linda made for planning a vacation, open the Public Page ‘Let’s plan a vacation together’. You can copy the blocks or widgets you like to your own page. Just click the little arrow in the upper right corner, and copy.